We have put together the lovely embellishment pack that enhances the beautiful 3 fairy Crescent felts and pattern. 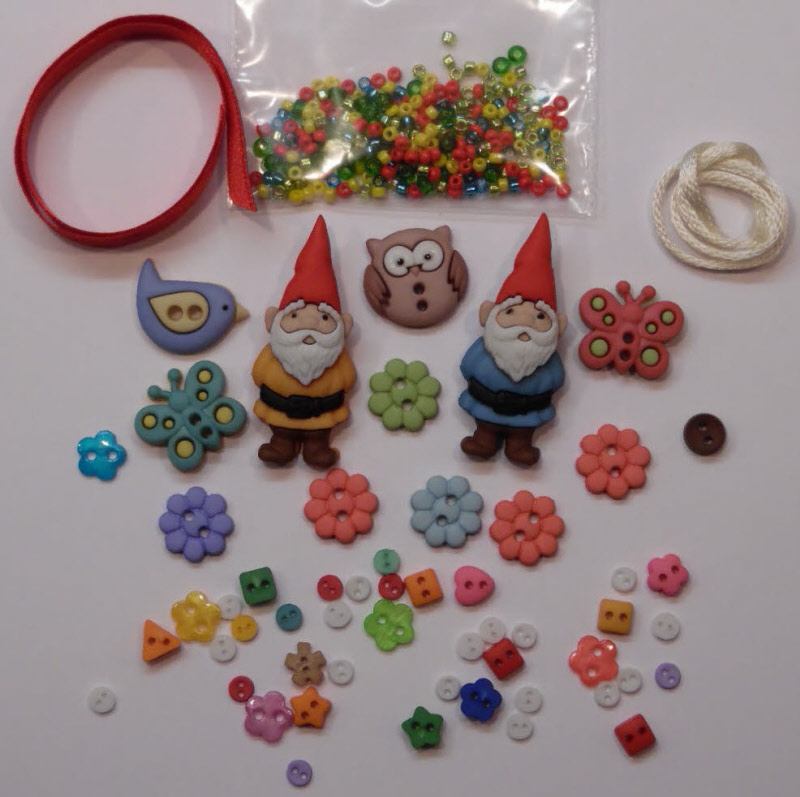 These include the gnome buttons which everyone loves, flowers,birds, butterflies, tiny white and assorted buttons along with an assorted bead pack and ribbons. PLEASE NOTE THAT THE PACK DOES NOT INCLUDE TOY STUFFING AND THE WOODEN BUTTONS SHOWN ON THE KIT HAVE BEEN REPLACED WITH SOME ALTERNATIVES. PLEASE ALLOW 10 DAYS FOR DELIVERY DUE TO THE HIGH DEMAND OF THIS PRODUCT.